Is this the new BMW G20 3 Series hiding under the cover? Earlier today, an image of the alleged new BMW 3 Series has been circulating on some of the online forums. 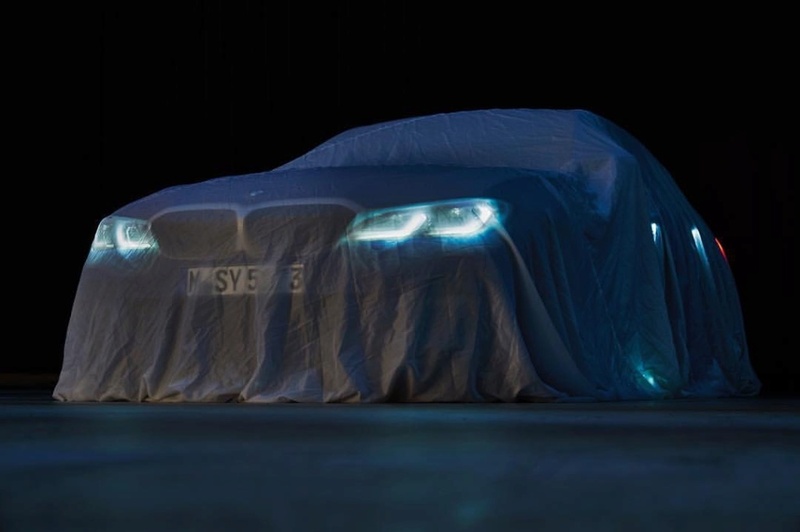 Judging by the proportions and its design, what we might have under the cover is the upcoming M340i M Performance model which will debut, along with the rest of the 3 Series lineup, at the upcoming Paris Motor Show. One of the reasons we believe this is the M340i model is the kidney grille with the enhanced outer edges which are now specific to M Performance Automobiles. The headlights and shape of the kidney grille is also consistent with the recently unveiled images of the 3 Series prototypes. With the M340i, BMW aims to combine high driving dynamics with unrestricted everyday usability while managing to bring sport and driving pleasure into everyday life. The BMW M340i will use a variant of the new B58 3.0 liter turbocharged I6 engine that should make around 360 hp and 370 lb-ft of torque, give or take a bit of either. It will certainly be offered with an eight-speed automatic gearbox and be rear-wheel drive as-standard, with xDrive likely as an option. There’s no official word on a manual transmission option. The new G20 3 Series will also get laser lights as an option with LED headlamps being the standard offering. Another first for the G20 family will be the enhanced autonomous driving systems which will be class leading while for those who prefer to drive themselves. A special limited slip differential (LSD) will be offered as an optional feature and standard on the M340i. The market launch is scheduled for later this year.